Hit the streets in two new Lamborghinis as Steve Aoki rolls into Blackridge! 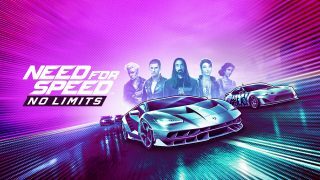 Jam to the new Steve Aoki 5OKI EP in-game as you take racing the roads to a whole new level. Steve Aoki’s is in Blackridge and is guest-hosting this Blackridge Rivals season! Race throughout the season to collect three Aoki-themed wraps, available to use across your garage. He’s also taking over the airwaves for the update, with his upcoming 5OKI EP release as the exclusive soundtrack in-game. To celebrate Aoki’s appearance in Blackridge, new players will receive an upgraded 2014 Subaru BRZ, complete with a custom Steve Aoki-branded wrap! Current players will also be rewarded with the wrap if they log in at any time throughout the update. The wrap is exclusively available for use on the Subaru BRZ. Drop rate odds are now displayed for Loading Docks crates. Odds are shown at a class level for Blueprints and Parts, and at rarity level for Materials. Uncommon Parts have been removed from Premium Crates. Updated the in-game Inbox to support providing valuable information to players more frequently. Improved Blackridge Rivals hack detection and suspension systems. As of this update, Need for Speed No Limits no longer supports Android OS 4.0.x. To continue playing, please update your device to 4.1.x or above. For more information, see here. Download Need for Speed No Limits for free* here! Be sure to follow Need for Speed™ No Limits on Facebook, Twitter, and Instagram for the latest news and updates.